Saturday was GYM HQ’s 4th anniversary. It's great taking time annually to remember our humble roots. We started with a team of 9. On a Saturday, a little less than two weeks after launch, we rented a Uhaul, bribed our spouses, and moved our meager start-up belongings out to our original space in Norcross, GA. We found a cute 1,500 square feet sublease in an office building on Craigslist and got to work. It wasn’t long until we were bursting at the seams! We picked up another 800 square feet across the hall and “made it work.” By the time we moved into our current location in 2016, we had a team of over 20 people in just over 2,000 square feet! Needless to say, we didn’t need to hold team roundups to ensure we stayed connected. We were almost literally all connected at the hips. Starting a new business is hard. It can be very rewarding, but it’s not without major sacrifices and stress. When you don’t have a parachute, you’re forced to figure out how to fly. With a great team and a lot of hard work, we found our wings. Two acquisitions later (we were acquired by ClubReady March 2016 and Clubessential January 2018) we continue to push to remain the gold standard for back-office services in the fitness industry. That’s why we’re always striving for better-- better solutions, better service, and better support because good is never good enough. We take our responsibility to the now nearly 1,300 fitness locations we support very seriously. 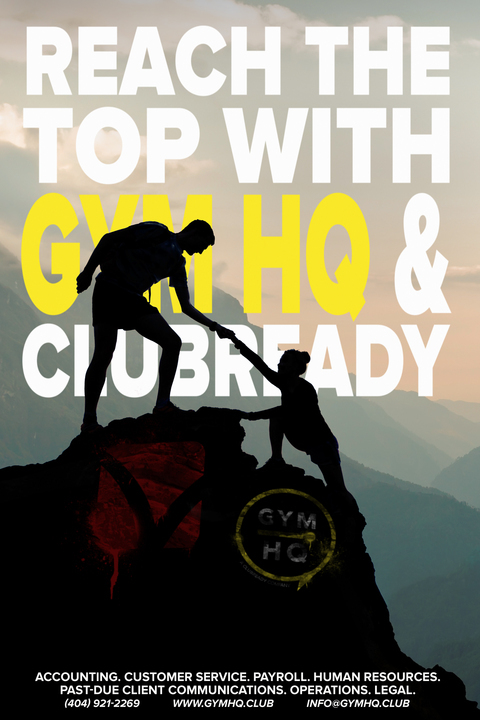 We're honored to be YOUR HQ and look forward to what's just over the horizon for GYM HQ and YOU!